the Association on Higher Education And Disability (AHEAD). ​The AHEAD website has additional resources for disability resources professionals. This interactive workbook is designed to guide you, a student with a learning disability (LD) and/or attention deficit disorder (ADHD), as you develop from a successful high school student to a successful college student. Many DRC staff provide additional academic support to students with LD, ADHD, and other disabilities to assist them in becoming skilled learners. In workbook format, Beyond Accommodations provides DRC providers and others with basic information and resources to use with students for strategy instruction, self-awareness, and advocacy skills. 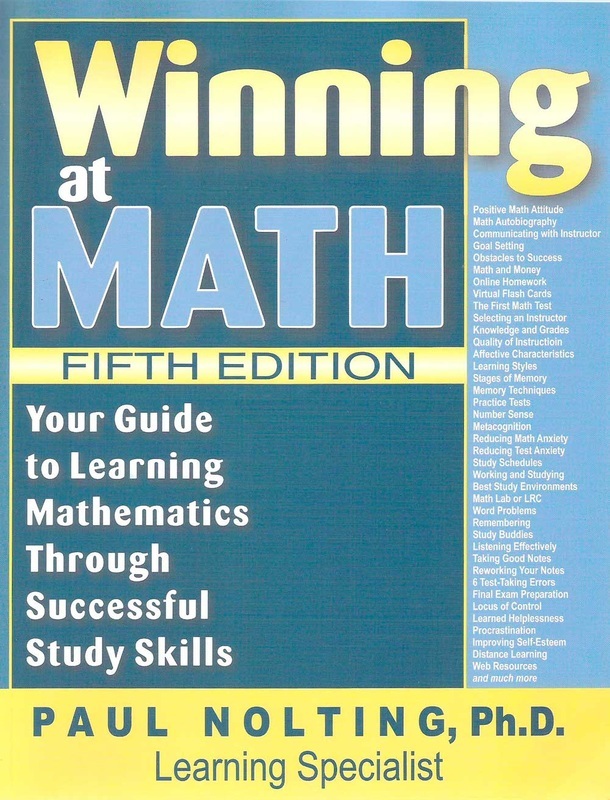 The new 5th edition of Winning at Math has been redesigned to read easier, while still featuring in-depth analysis in areas such as test anxiety, math anxiety, as well as the attitudes required to persist through a math course. Other areas of the book have been expanded to enhance the learning experience of students as they explore how to improve How to Reduce Test Anxiety CD attached to the inside back cover. With new content, this brochure covers consideration and preparation for the student with learning disabilities in the transition beyond high school. It offers a list of 20 activities and necessary steps ranging from testing to independence to advocacy for students with learning disabilities to take as they prepare themselves for higher education.